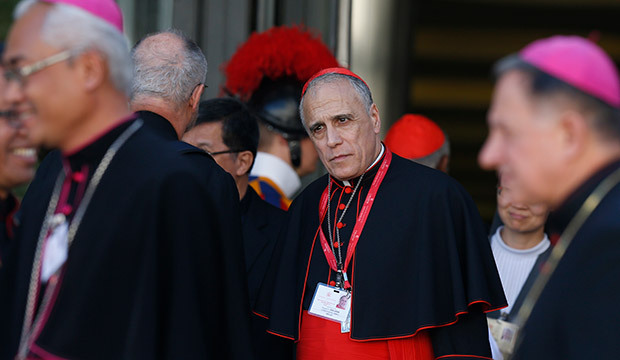 Cardinal DiNardo, president of the U.S. Conference of Catholic Bishops, spoke to Catholic News Service Oct. 22 as the synod was winding down and preparations for the U.S. bishops' November general meeting moved into high gear. The agenda for the November meeting will include multiple items for dealing with the abuse crisis and, particularly, the issue of bishops' behavior and accountability, Cardinal DiNardo said. One suggestion the bishops will examine, he said, is to draw up “a code of conduct for bishops,” similar to those that most dioceses have for priests and for lay employees. Another would be to establish a “third-party reporting system” that would allow someone with an abuse complaint against a bishop to report him to someone not connected with his diocese or the bishops' conference. “One of the best parts of this synod is obvious: the young people,” he said. The 34 synod observers under the age of 30 “are lively, they applaud sometimes. They take a great interest in the speakers. They have been a very, very important part of the language groups,” where synod members, observers and experts make recommendations for the gathering's final document. “Young people are much more serious than I think we give them credit for,” he said. And, hearing a young person's story of faith probably is the most effective way to evangelize other young people. 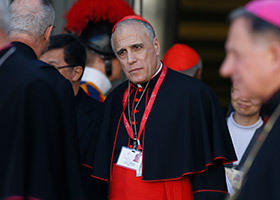 As for the Catholic Church's outreach to young people struggling with Church teaching on sexuality or who are homosexual, Cardinal DiNardo said it is not a marginal issue in the lives of young people and it was not a marginal issue at the synod.